Your timing belt is a vital part of your car’s inner workings, as it helps keep vital components in your engine moving in perfect synchronisation. At the same time, it also keeps these often fast-moving parts apart - which is why, when a timing belt fails, the damage can be much more widespread than to the belt itself, as we’ll explain later. The timing system of which a timing belt helps ensure smooth running is a critical aspect of every car’s powertrain. While it does not need regular maintenance, it’s imperative that you follow the manufacturer’s scheduled replacement intervals for both timing belts and timing chains. First things first. You could be one of the lucky ones, whose vehicle has a metal timing chain, rather than a reinforced rubber timing belt. While these can still eventually wear out, they have a much longer lifespan than a rubber belt, as you might expect. A timing belt will be smooth on the outer edge, but on the inside, they will have a series of teeth cut into them. Also, if you suffer a timing belt failure, you run the risk of facing a far higher bill than simply the cost of replacing the belt itself. While timing belts are less expensive than timing chains, they need to be replaced more often. For cars with belts, their expected lifespan is generally between 50,000 and 90,000 miles. Belts are often chosen over chains by vehicle manufacturers because they are cheaper to produce, lighter, and quieter in operation. For cars with timing chains, recommended replacement intervals of over 100,000 miles are common, although the manufacturer may recommend checking the condition of the timing chain at more frequent intervals. Whether belt- or chain-driven, this is one of the most important maintenance areas for car owners to be aware of, and perhaps the most important to follow on schedule. The potential cost of timing belt replacement on your vehicle depends on which of two types of mechanism which a belt uses to keep things running in sync it is fitted with. In the trade these different mechanisms are generally referred to as interference and non-interference engines. Correct maintenance and replacement of timing belts on interference engines is more crucial than on their non-interference counterparts. This is because - as the name implies - the smooth running of an interference engine depends on several its parts running in close harmony - and it’s the timing belt’s job to ensure that this happens. If the belt on an interference engine fails, there is nothing to stop the valves and pistons, which occupy the same space within the engine’s cylinders, from smashing into each other. This will result, at the very least, in bent valves, but also possibly damage to the camshaft, pistons, and cylinder head and walls. And in case you haven’t worked it out, that’s potentially a lot of loose metal flying about inside your engine, often with considerable force behind it, which has the potential to do a lot of damage. Also, as interference engines are more common on larger, high-powered engines - because they generate much higher compression within the cylinders, which in turn produces the greater power - there’s a lot more metal around in the first place, along with much more force behind it, and that’s potentially a lethal combination. So if you aren’t careful, and don’t follow the timing belt maintenance and replacement regime recommended on your car, the potential exists for you being landed with a truly budget-busting bill. How Easy Is It To Access Your Timing Belt? Because the exact location and type of the timing belt varies on many cars, you should always try to get several quotes before going ahead with the work. This is because there’s not a lot of difference between the cost of a timing belt, along with the other parts which may need replacing at the same time - see ‘Does Any Other Work Need Doing?’ later in this article - wherever you or your mechanic buys them from. However, because this is a component designed to last tens of thousands of miles, skimping by buying the cheapest replacement timing belt might not be a good idea. What will make a difference to your final bill will be how easy it is to access - and therefore the time it will take - along with whether any work needs doing to rectify any other damage if you’ve suffered a timing belt failure (see above). If you know from your car’s manual what your manufacturer says is the recommended interval for a timing belt change, you can get ahead of the game, and avoid the need for any more major repairs by requesting cam belt replacement quotes in good time. 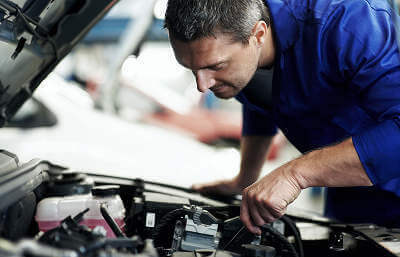 If you get the job done promptly, you’re likely to save yourself a hefty sum compared with if you chance it and later suffer a cam belt failure - because as we’ve outlined in an earlier post, as well as in this one, this will cost you even more due to the damage it could cause to other major engine parts. The bad news is that cam belt failure usually happens with little or no warning, and in order to check its condition properly a mechanic may have to take apart much of the engine’s top end - so if you’re in any doubt, it’s always safest to go ahead and get the timing belt replaced anyway. Does Any Other Work Need Doing At The Same Time? Whenever you have your car’s timing belt replaced, you should also ensure that a new timing belt tensioner is fitted at the same time, as these parts work in close harmony and wear to one usually means equal deterioration to the other. The tensioner itself can seize, and as well as a lot of noise can result in stretching of the belt. So replacement “is more of a preventive maintenance thing”, according to one car maintenance forum contributor. But when you consider that changing the timing belt tensioner requires the belt itself to be removed anyway, it makes sense to have both parts swapped in one go. Many car-makers even insist that both parts are replaced at the same time, as this RAC forum contributor points out. A car’s water pump is also generally driven by the timing belt and needs to be removed when a new one is fitted. This is an inexpensive part in the general scheme of things, so you may as well have it replaced while your car is already in the workshop. As with the timing belt and many other car parts, the labour cost involved in replacing the water pump far outweighs the cost of the part itself - so you may as well have this done while the mechanic is in the area! , it’s always best to get new ones fitted too. Again, the cost will be minimal - but you should check whether a new water pump and seals will be included as part of the deal when you negotiate the cost of timing belt replacement. Take the cover off you need to remove the pulley Take the bolts off, then just unscrew the bottom cover, once you have done that you should see the timing belt. Mark the cogs Mark the cogs before you do anything else so you know exactly where they line up. Put new belt on Slip the new belt over the clogs then loosen the belt on the tensioner pulley once you do that it tightens the belt up, once this has been done put a wrench on it and make the bolt snug so the tensioner stays in place. All the factors listed above come into play when determining the cost of timing belt replacement or how much you should expect to pay to replace the timing chain on any vehicle, along with other sundry parts. And don’t forget that it’s typically a four- to six-yearly job, so luckily it is a cost that doesn’t come around too often. Getting your timing belt or timing chain replaced on schedule is, though, a vital maintenance task. You might not like the cost, and it could even come at an inconvenient time, but it stands to reason that replacement of your car’s timing belt when recommended by the manufacturer will be much more cost-effective in the long term than simply leaving it to chance. If you do this, a high-pitched squeaking noise from your engine could be the first - and only - notice you get that things are about to go seriously wrong. The next noise you hear, if you don’t manage to stop in time, will be the painful sound of pieces of metal breaking free and wreaking all kinds of havoc under your bonnet. But now that you’ve read this article, you won’t let things get to that stage, will you? You can get timing belt replacement cost quotes from local franchised and independent garages in your area by posting a request on MyCarNeedsA.com. You’re then in charge, and can choose the quote which is right for you, based on a garage’s location, its quote, or feedback from other MyCarNeedsA.com users.